Still unclear about micro-blogging? Here's what you need to know. Twitter is turning into a household name, but I am still unsure as to its benefits or necessity? Can you give me some advice regarding micro-blogging and it's advantages compared to email, IM or even SMS messaging? Answer: Micro-blogging is a form of blogging that allows users to write and publish openly brief text updates (usually less than 140 characters) to be viewed, in real time, by anyone or by a restricted group that's chosen by the user. These messages can be submitted by a variety of means, including text messaging, instant messaging, e-mail, MP3 or the Web. The first and most well-known micro-blogging service is Twitter, which surfaced in 2006 and continues to grow in popularity. 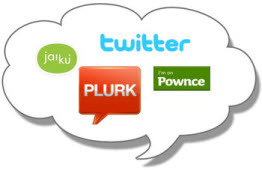 Twitter has since been joined by copycat services that include Plurk (a distant second to Twitter), Pownce, and Jaiku (recently acquired by Google). The magic of Twitter, at least for those who use it regularly, is that with only 140 characters to work with per post, it forces users to use pithy statements on the fly which can become very addictive to both the sender and the message audience.